The average wait in Ireland, at present, for a deceased donor transplant is about three years. A live donor transplant can be organised within a number of months if there is a suitable willing donor. In general, it is possible to avoid dialysis completely only if you have a willing and suitable living donor who can be prepared, in sufficient time, prior to the progression of the kidney disease. As the average waiting time for a deceased donor transplant is three years, most patients will have progressed to dialysis, prior to receiving a deceased donor transplant. Living donor transplantation generally results in better long-term success than a deceased donor transplant. For some groups of living donors this improved success can be very considerable, For example, if you have a ‘full-house’ match sibling, who is willing to donate, the new kidney can last up to twice the length of time compared to a deceased donor kidney. For some groups of patients, a live transplant from a sibling may be the only reasonable prospect of receiving a kidney transplant. This situation particularly applies to patients with a high percentage of antibodies, where a perfectly matched kidney, from a sibling, may be the only prospect of a transplant in a short period of time. The major disadvantage of live donor transplantation is that a healthy living person has to undergo a major operation to donate a kidney, with all the associated risks and discomforts that are associated with major surgery. Donors are usually blood relatives, such as brothers, sisters or parents. Less often, close relatives, such as uncles, aunts, sons or daughters. Whoever becomes a donor must be over 21 and, preferably, in their middle 20’s. Each potential donor is evaluated individually. There is no strict upper age limit in donating a kidney, but there is less chance that an older donor will pass the medical examination necessary before donation is judged to be safe. 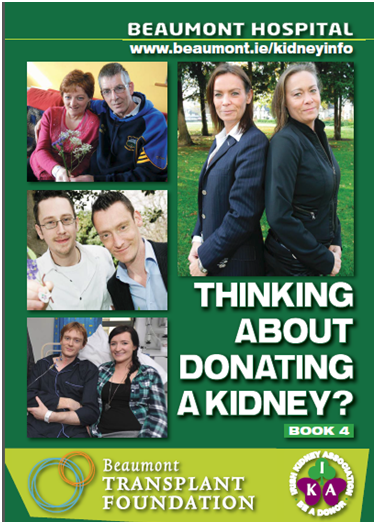 (See Book 4 - Thinking About Donating a Kidney?). Once you have been accepted onto the transplant waiting pool, any potential living donor can contact the Transplant Co-ordinators to discuss donation. A living kidney donor needs to have a compatible blood group to the recipient. This will be one of the first tests that a potential donor will undergo to assess their suitability. 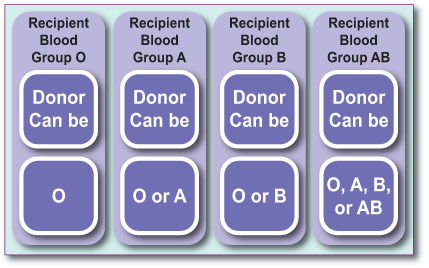 From this table, you will see that blood group O donor can be considered a universal donor i.e., they can give a kidney to anyone and blood group AB recipient is a universal recipient, i.e., they can receive a kidney from anyone. These are important rules in the process of transplantation. Once blood group compatibility has been confirmed, the donor has to be tested for tissue type compatibility. 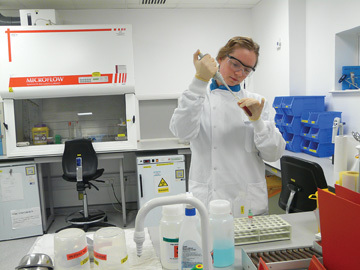 The tissue type of the donor and recipient will be determined in the tissue typing laboratory by way of a blood test. This process may take up to six weeks. The better the match between the recipient and the donor, the better the long-term success of kidney transplantation. Your blood is tested for tissue markers called HLA antigens to determine your tissue type. Potential donors are tested for 6 different sets of markers, and you will be informed of how similar your tissue type is to the recipient. The best match is where all 6 sets of markers are identical, and these are referred to as a full house or zero mismatched graft. Donor and recipient matching is important for two reasons. Firstly, because a better match often results in better success of the transplant. Poor matching can make kidney transplantation a second or third time much more difficult. kidney transplant success with a poorly-matched kidney. When testing donor and recipient compatibility, we have to avoid giving a patient a kidney to which he or she has formed antibodies, as this would result in the early failure of the donor kidney. The body makes millions of antibodies, which are primarily intended to fight off disease. However, when people have a blood transfusion, pregnancy, previous transplant or some infections, they can produce socalled ‘HLA antibodies’ which react with donor tissue and possibly damage it. We are aware that if we give a transplant to somebody that has HLA antigens, against which they have HLA antibodies, there is a higher risk of the kidney failing due to rejection. It is therefore preferable to find a kidney against which you do not have antibodies. You will hear the doctor talk about PRA or PGEN. This is a measure of the probability of having antibodies against 1,000 Irish donors; it is a measure of how hard it will be to find a suitable compatible donor. If the recipient has a PGEN of 0% then they have no antibodies and should not have difficulty finding a suitable donor. Conversely, if the recipient has a PGEN of 100%, they will have great difficulty finding a suitable kidney donor and will most likely have a prolonged wait on dialysis. If the recipient has a sibling, who is a ‘perfect match’, then antibodies are generally not important. However, even patients with 100% PRA can be transplanted if the right donor comes along. When the recipient sees the transplant surgeon, at the pretransplant assessment clinic, they will be told what their PGEN is and this will give them some assessment of how long the likely wait will be to receive a transplant. There are no effective strategies to take away antibodies that give good long-term results. 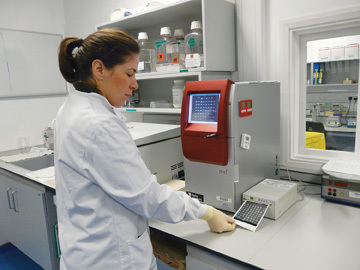 The levels of antibodies in the recipient might fluctuate, and so it may be possible that the initial screening for donor specific antibodies is favourable but, later screening in the donor workup shows that the donor is not suitable. This can cause significant disappointment to the donor who may be in an advanced stage of the workup process. When testing donor and recipient compatibility, one of the main problems that has to be avoided is giving a patient a kidney to which they have formed antibodies, as this carries a high risk for the early failure of the transplant. The process of checking the suitability of a donor is a long, but in-depth one. To be as certain as possible that the transplant will be successful, for both recipient and donor, this extensive procedure is necessary and also gives the potential donor plenty of time to consider his/her options. What Can I Do If My Living Donor Is Not A Match? group or antibody reasons, there are a number of possibilities. If the recipient is not highly sensitised (PGEN<70%) and has a blood group incompatible donor, the best option to consider would be to enter into a paired kidney exchange programme with others in a similar predicament. This is where your donor gives their kidney to a compatible recipient and the recipient’s donor gives you their kidney. Obviously, this depends on both kidneys being matched and suitable for transplantation. 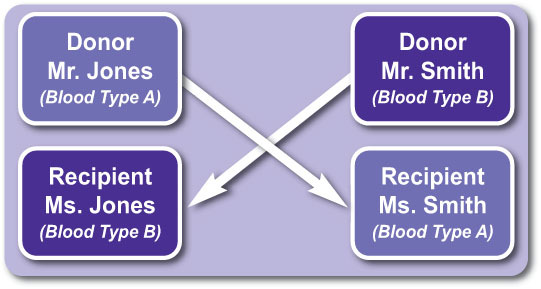 Mr. Jones is blood type A and wants to donate a kidney to Ms. Jones who is blood type B. Mr. and Mrs. Smith, have opposite circumstance (blood type B donor who wants to donate to blood type A recipient). The donor kidneys could be exchanged and both groups would undergo a living donor and transplant procedure. If, on the other hand, the recipient is highly sensitised (PGEN>70%) and they have an ABO incompatible donor but well HLA-matched donor, it might be possible to enter into a programme to remove ABO antibodies and proceed with the kidney transplant, across imcompatible blood groups. You nephrologist will discuss this in more detail if necessary. It is however, important to appreciate that some patients with high antibody levels may have to wait a very long time to get a suitable donor match. Effective technology does not currently exist to remove HLA antibodies to allow successful transplantation.